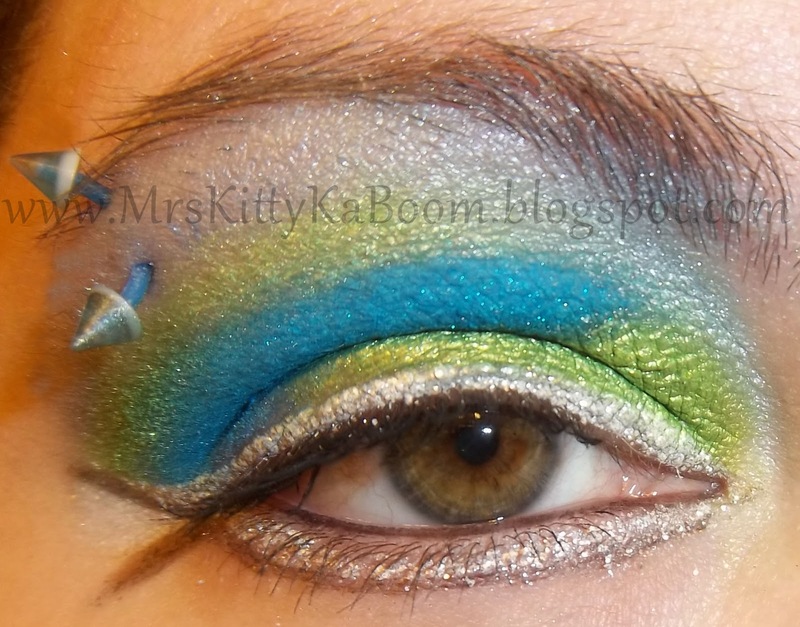 Here is my EOTD for today. It was also what I have submitted to be part of the giveaway that Ashley is having currently. You can see the deets in the video here: Ashley's 21st BDay/100 Fan Giveaway . She wanted something sparkly. I thought it should be vivid but wearable since she will be wearing it for a party. Plus I thought it would look cool under different sorts of lighting, since that green is pretty neon :D Anyway.. here is what I came up with. 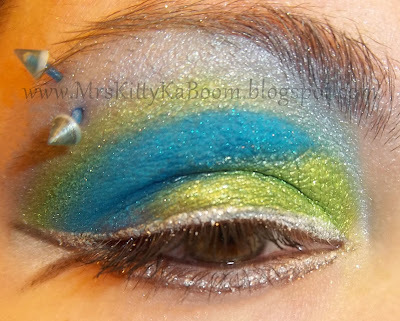 Its kind of a swirly design with a double winged liner. 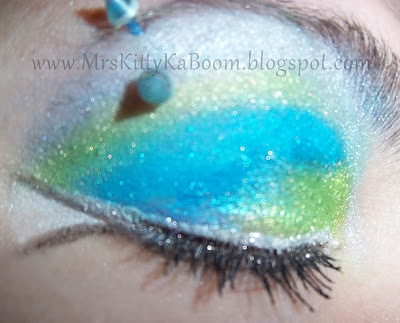 This would be even better with a pair of falsies I think. What do you guys think? What is your favorite sparklyest eyeshadow? And hello to you and thanks for stopping by if you are one of my new followers/friends! /wave! I made the silver sparkle liner. Not half as nice in photos as was in person. i've been checking out all your eye makeup posts and you're quite talented. love how you experiment with colors! thought you'd be interested in my 100-piece elf makeup palette, black crackle polish and Ulta cosmetics giveaway! i think you'll love the black crackle by China Glaze!